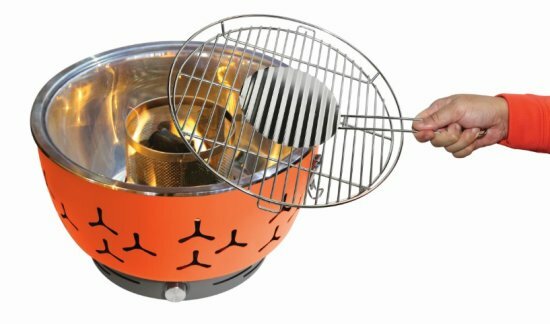 This ultimate portable charcoal BBQ grill is heat-insulated so both base and grill body stay cool. No cord, no electricity needed; the fan for heating and temperature settings is battery powered. Grill grid and inner bowl are made of stainless steel and can be cleaned in the dishwasher. 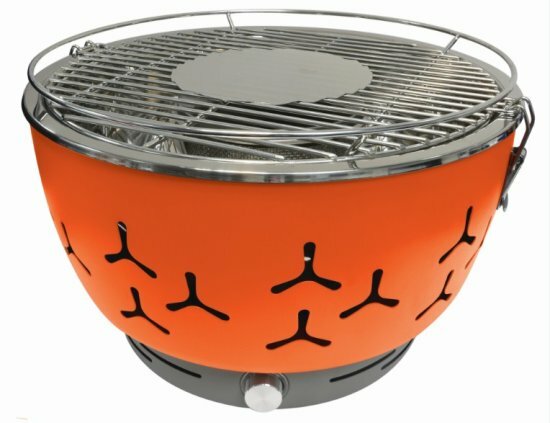 The locks on the side of the outer bowl make GoBBQ sturdy and safe. For family use outdoor and indoor! 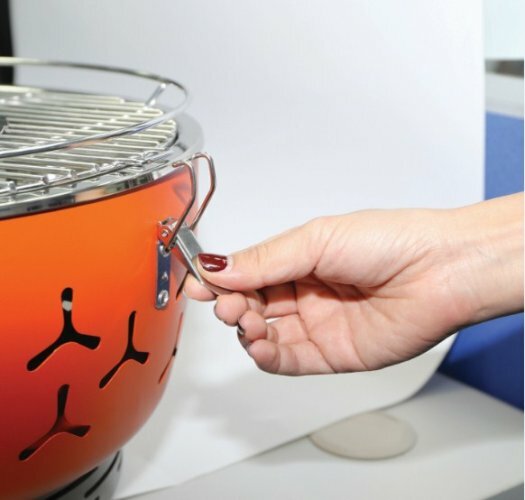 Whether you’re camping, on your balcony or terrace, tailgating, or just having fun away from home, the GoBBQ creates the ultimate grilling experience without the hassle. No ﬁghting with the normal bulky BBQ when you use our GoBBQ. 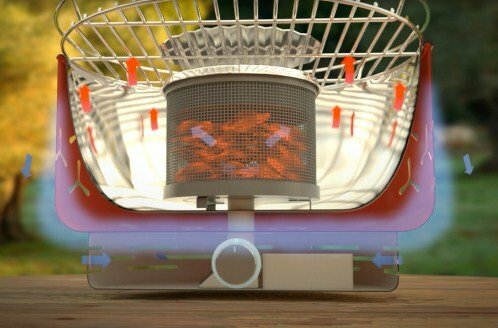 Not only does the convenient size mean it’s much more portable than a normal BBQ grill, it’s innovative design allows it to work without billowing smoke. 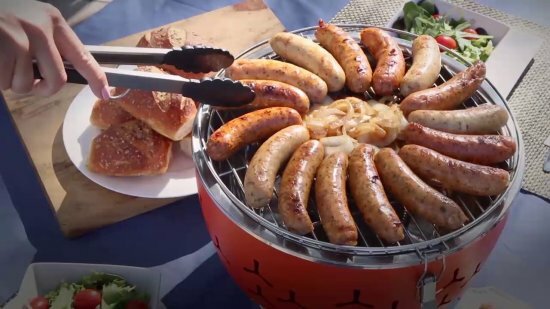 On top, Go BBQ comes with a fully detachable, nonstick grill rack that features an extra large family size cooking space (up to 8 hamburgers, 16 sausages, or 12 kebabs). While food is cooking, the lower drip tray collects excess fat and allows grease to drain away, the snap lock system will help prevent spillage, and the included chef-grade tongs will help make grilling easier. Includes main unit, grill rack, charcoal box with lid, ignition plate with blue LED light & tongs. 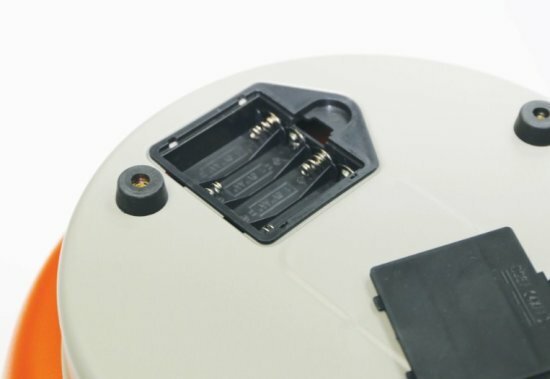 Batteries (4 AA) not included.